President of FIFA, Gianni Infantino, says the ban on international football matches in Libya will be lifted soon. 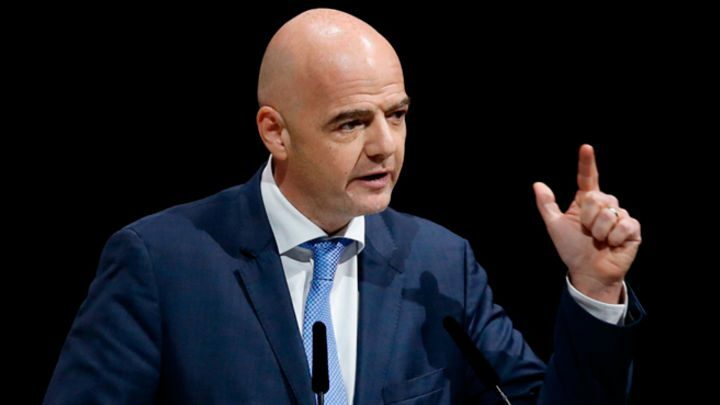 Infantino says FIFA will reach a solution very soon. Infantino expressed appreciation for the urgent desire of the Libyan people and government to host international matches. FIFA has banned international matches in Libyan stadiums since 2013 due to the deteriorating security situation in the country. NAN reports that Libyan clubs have had to use neutral venues to host their matches while the The Mediterranean Knights have played ‘home’ World Cup and Africa Cup of Nations qualifiers in Mali, Egypt and Tunisia over the last five years. In spite of a domestic league that has been stop-start due to the unrest, Libya qualified for the 2012 Africa Cup of Nations, claimed their first senior African title at the 2014 African Nations Championship (CHAN) and finished third in their 2018 World Cup qualifying group.